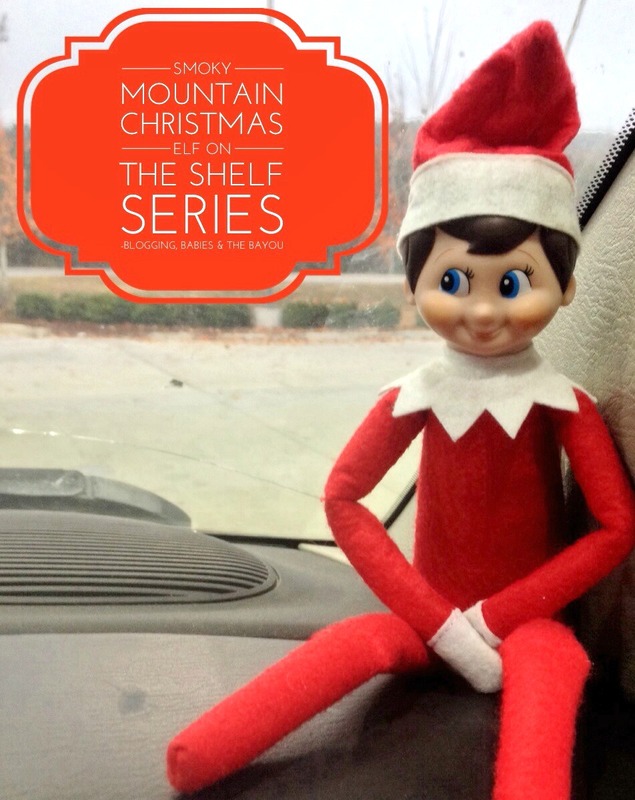 I know it’s strange but we recently took our Elf on the Shelf on our Tennessee Smoky Mountain Vacation. My children are getting older and since they are fully aware of the true meaning of Christmas (and about Santa) I thought this would be a fun way to keep the spirit alive. Having older children (1 teen & 1 tween) I know how hard it is to keep the kids entertained while on vacation. What better way to travel than with our family’s Elf on the Shelf. Read along and enjoy the Smoky Mountain fun! 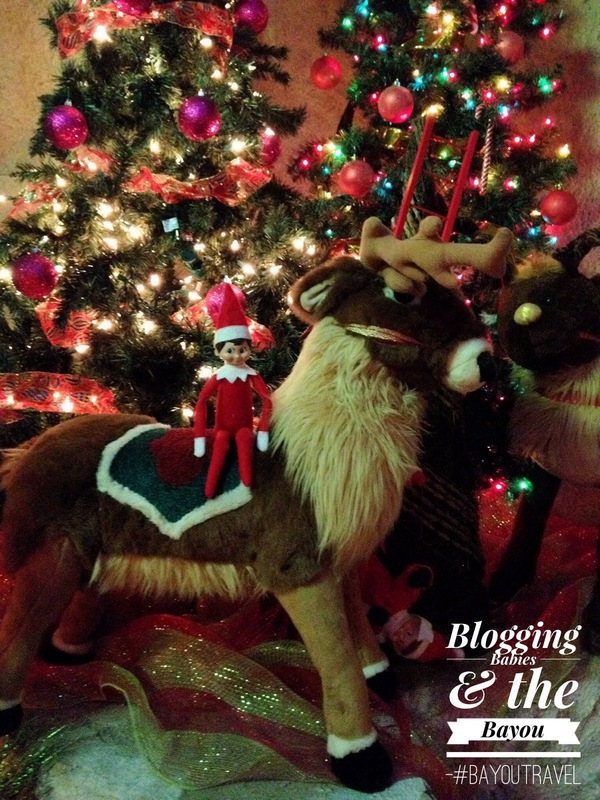 More pictures will be available but this is a quick overview of our Elf’s Winter Vacation. Tip: Snow pics with Elf included!! Our Elf on the Shelf is named Honey. This might sound strange (especially for a boy elf) but our Elf’s mother always called him “Honey”. Name of endearment? Not really! Honey has family in the Honey Island Swamp area which is where we reside. What a great way to celebrate honey’s Bayou side of the family! Are you a Dolly Parton Fan? We know one special elf that is a HUGE elf size fan. What’s your favorite Dolly Parton song? Honey and the Honey Island Swamp kids pose at the Tennessee rest area. Just a few more hours and they will arrive to the Smoky Mountains. 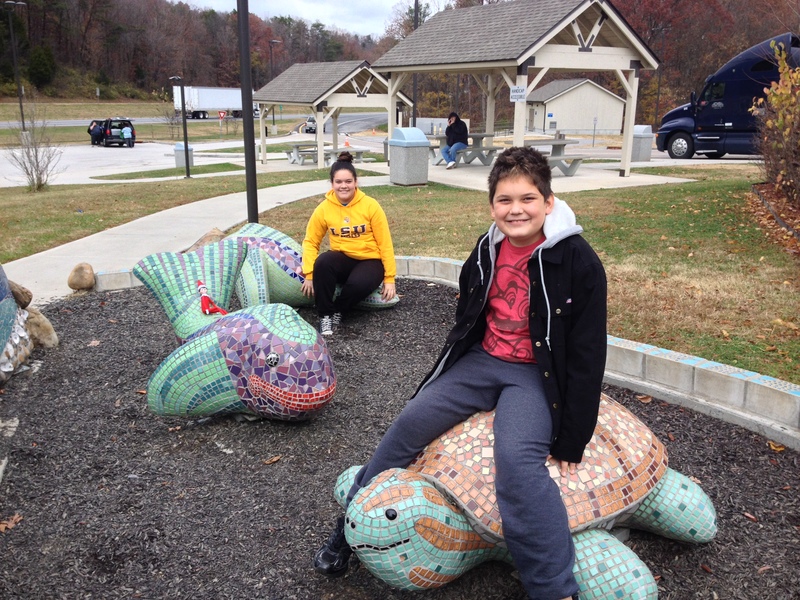 Before we checked into our Pigeon Forge hotel, we took the family to Ober Gatlingburg. Honey was one of the first guest (and Elf) at the attraction! Here he is waiting to ski with our attraction guests. 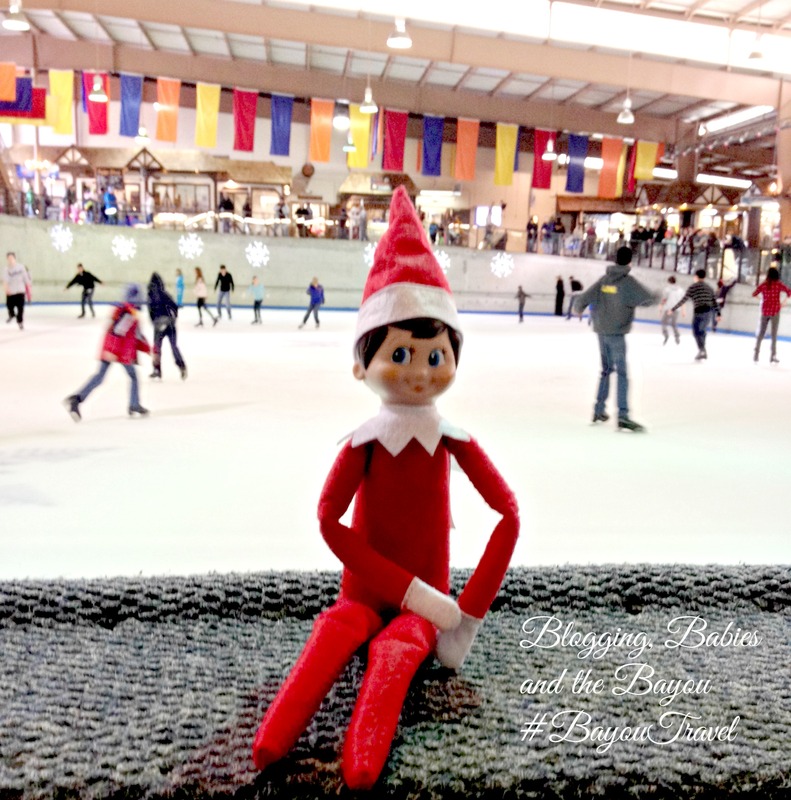 Do you enjoy ice skating? Honey watched as his Honey Island Swamp family enjoyed the ice rink. Ice skating is hard especially when you have no feet! 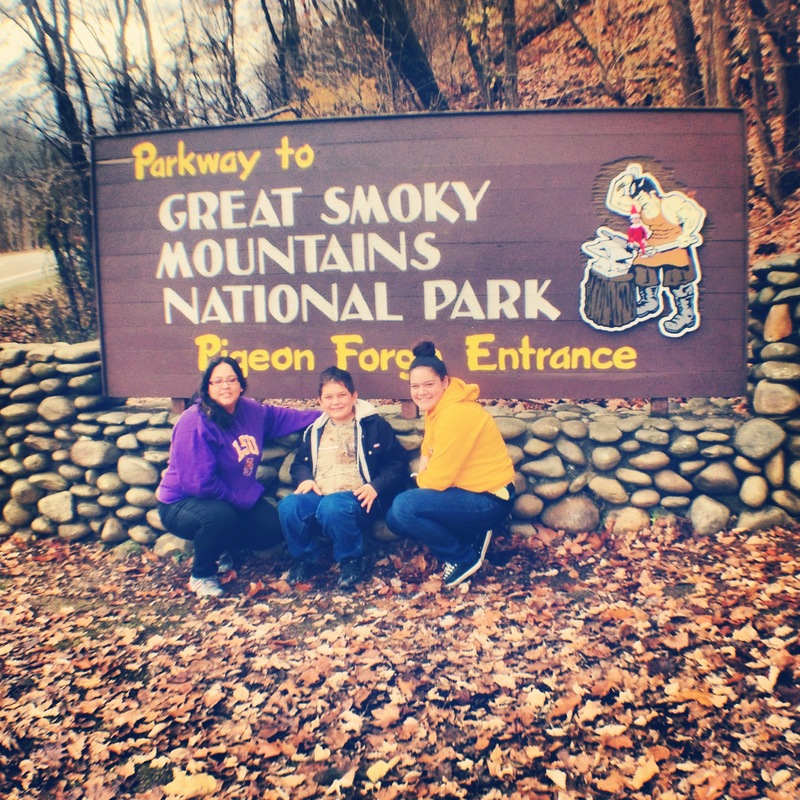 Honey Island Swamp Family taking a picture in front of the Pigeon Forge Smoky Mountain sign. That mischievous elf photo bombed our picture!! Have you ever been to the Hollywood Wax Museum in Pigeon Forge? Hollywood comes to life at this museum! Here Honey is posing with “Steven Spielberg”. This Elf on the Shelf is ready for ACTION! Where is the Elf on the Shelf? 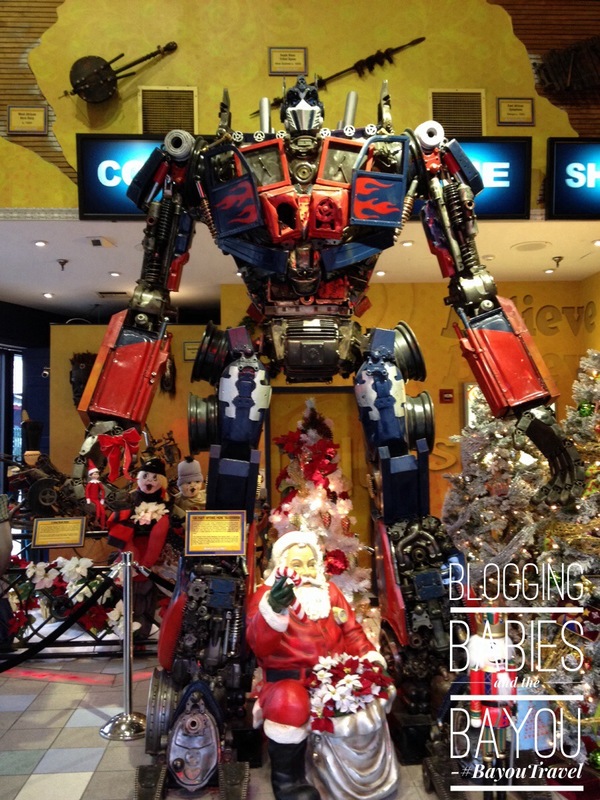 Goofing around with Optimus Prime at the Ripley’s Believe It or Not Odditorium. Very cool museum!! This interactive museums is 3 floors of nonstop interesting information and hand on children’s activities. 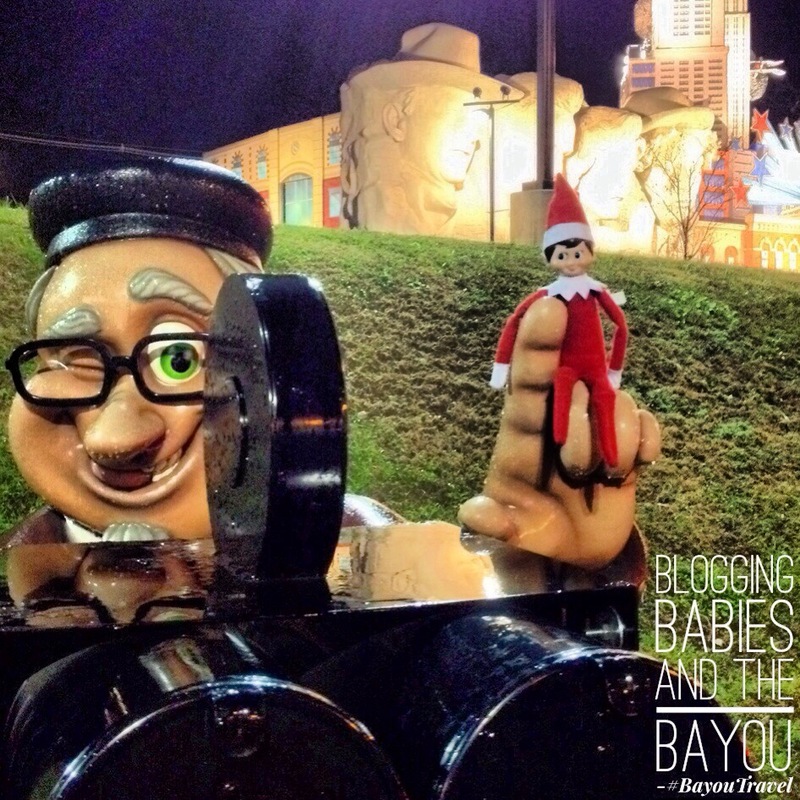 Ripley’s Believe It or Not Odditorium felt like Santa’s play land to our Elf on the Shelf. 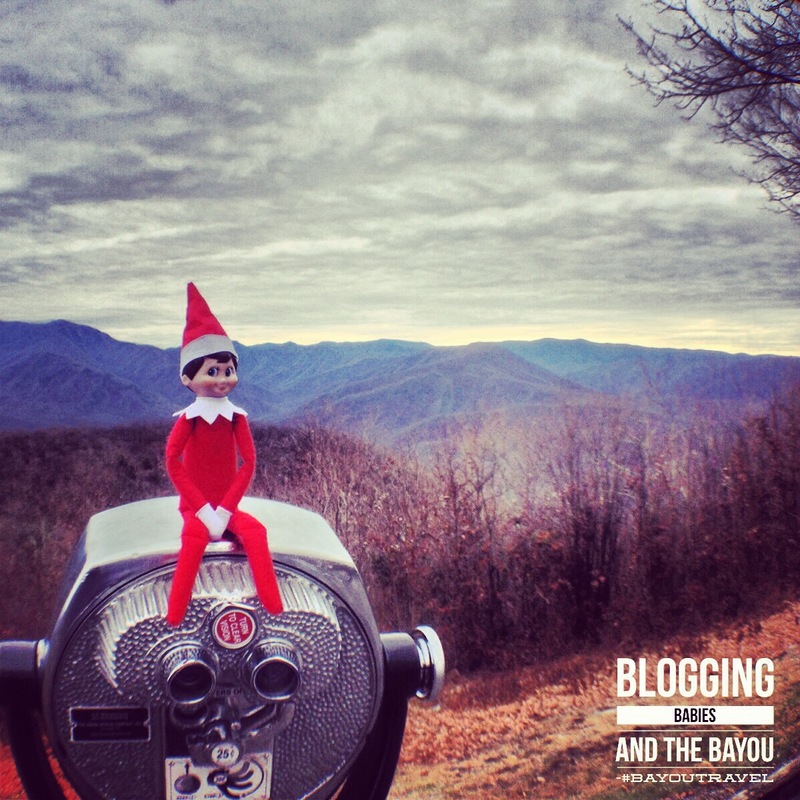 Here our Elf on the Shelf is sitting over 3500ft above elevation! He is enjoying the view from one of our most remarkable National Parks. Amazing view, isn’t it? 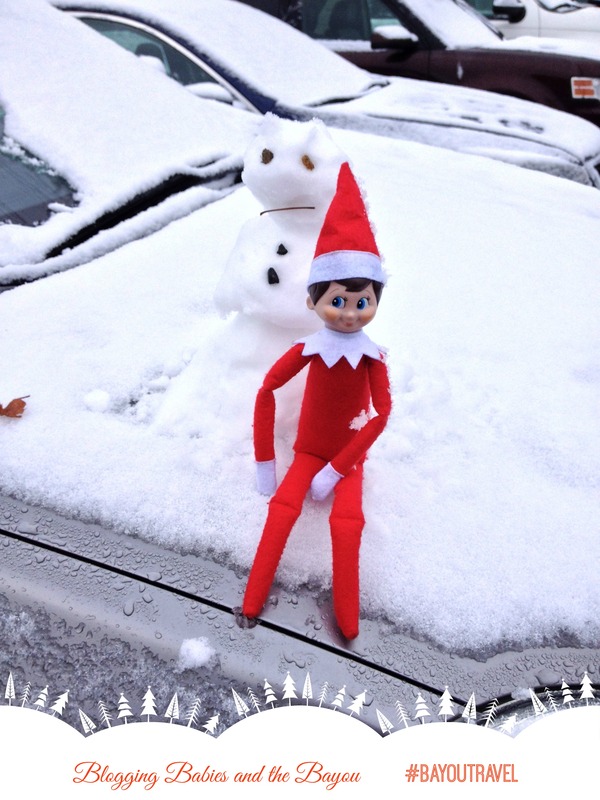 Honey, our Elf on the Shelf, found a snowbuddy today. Today the Smoky Mountain area feels like a winter wonderland compared the Honey Island Swamp. Ice Skating, Dolly Parton, even the spectacular views of the Smoky Mountain can’t compare to the family time he enjoyed with his Honey Island Swamp family. He may miss Santa but spending the holidays with his Bayou Family means more than all the hot chocolate and cookies in the world! Awesome. Our elf is making his big comeback this evening. I waited as long as possible because I keep running out of ideas lol. I think the elf on a shelf idea is so cute. Wish I had that idea when my Daughter was young. That elf is sure making his way around. I have some ideas for ours as well. we haven’t bought an elf yet, but I’d really like to this year. They look like such a fun way to get the kids excited for Christmas! Looks like Honey had a great vacation with you guys! What a great idea to take elf on the trip! I am looking forward to finally getting everything lighted outside! I think you took some great pictures. That is one well traveled elf. What a great holiday tradition. I think Honey sure did enjoy his time in the Smoky Mountains. I want to go now. That elf sure had a great vacation! All the people he met and places he saw! Dolly Parton seemed to be his favorite! Love that your elf got to see so many sights. LOL. What a great way to share Elf on the Shelf. I thought he was just naughty. Sounds like he does other things too! Awww! That is too cute that your elf made the trip with you and enjoyed visiting all those places. We were in Pigeon Forge a couple of months ago and had a blast. Your Elf is very lucky to get to see all the things he sees. I love how creative you are being with yours, makes me want to get one of my own and see what we can come up with. 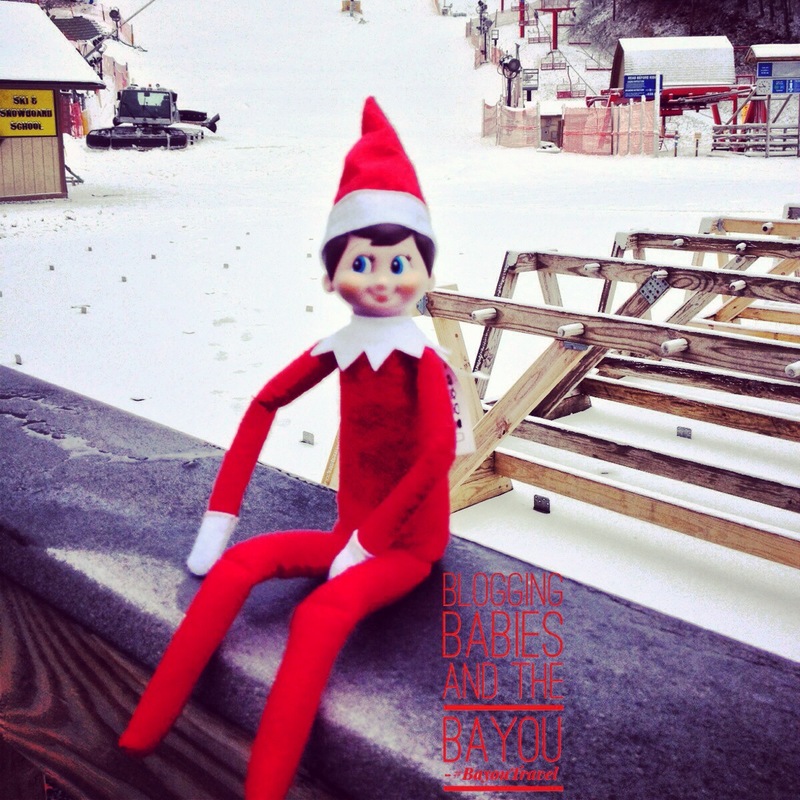 This is such a great idea to take the Elf on the Shelf along on family vacations. It really helps to get the kids into the whole holiday spirit. This i a well traveled elf! He had as much (if not more) fun as you did on this trip. What a fun trip. There was lots to do! Incredible adventures of the Elf, I saw many and different ones and I like yours because you all went trevelling and the Elf visited all the exciting places with you. 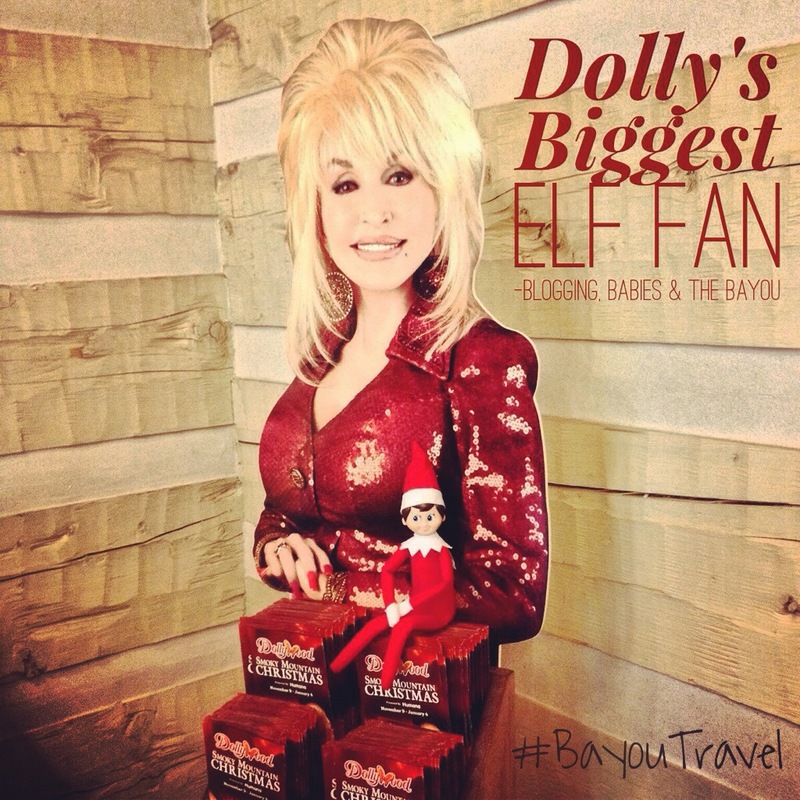 That was such a cute idea to take the Elf on vacation with you! Love it! My mom was just telling me about the elf thing the other day! This is awesome!! We don’t do Elf on the Shelf (my kids are 18, 19 and 20) but we have brought “friends” on vacation with us and done similar photos.